Our full line of OE-quality remanufactured CVT transmissions are shipped from our facility in Memphis, TN. Coleman Taylor Transmissions Remanufacturing Division protects every wholesale transmission with a ‘Peace of Mind’ warranty, with a wide variety of pricing to fit your budget and needs. Get FREE quote. 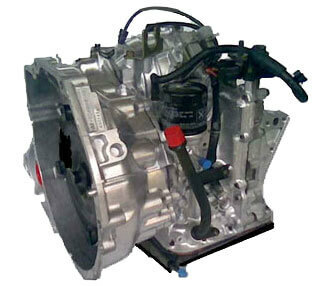 Remanufactured CVT transmissions have become more popular. CVT transmissions have a completely unique design with different manufacturer problems. The past several years have provided the industry with the data and expertise to permanently correct CVT transmission problems as internal parts are now available for most CVT transmissions. We have CVT transmissions in stock that are ready to ship! Coleman Taylor Transmissions Remanufacturing Division is dedicated to a superior level of customer service and takes great pride in celebrating over 58 years in the remanufactured transmission industry. We opened our first shop in Memphis, Tennessee, in 1961. We service professional auto shops, car dealerships, transmission shops and consumers. Our inventory of ready to ship automatic transmissions include high performance transmissions, and transmisssions for nostalgic / classic cars and trucks. Call us for top quality remanufactured CVT transmissions included with the best brand OEM parts for vehicle models. Our loyal customers will agree – “We are Technically The Best!™ ”.